This is Kevin and Patricia's Same Day Edit. It was filmed, edited and displayed at the same day while everybody is busy celebrating the couple's wedding. Good thing the venue had a projector so that we can play our video at the reception. We had a very fulfilling and happy moment when we present this to our client. 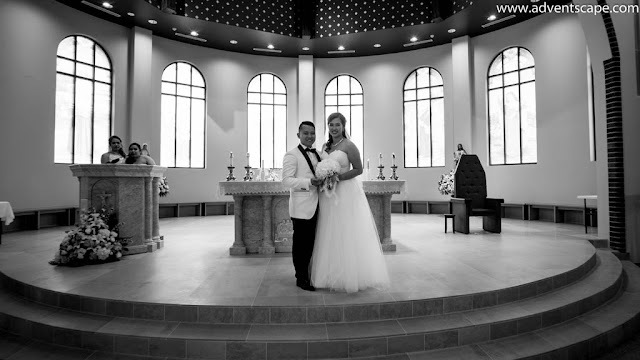 Kevin and Patricia got wed at Our Lady of Catholic Church at Rouse Hill. This is one of the modern and beautiful church I've seen. The church is spacious and bright from the ambient lighting. The ceilings and walls are high with very beautiful paintings. I highly recommend this church.